The opening game of round three saw Pascoe Vale face Hume as both sides were looking to bounce back from round two defeats. After a scrappy opening, it was Pascoe who opened the scoring as Jake Besenyi was picked out by Mauricio Novak to tap home and give the Lions a slender 1-0 lead, which they carried into the half time break. Early in the second half, Pascoe Vale doubled their advantage from a corner, with Tyler Garner firing home, before Garner struck again shortly after to have the Lions 3-0 ahead. 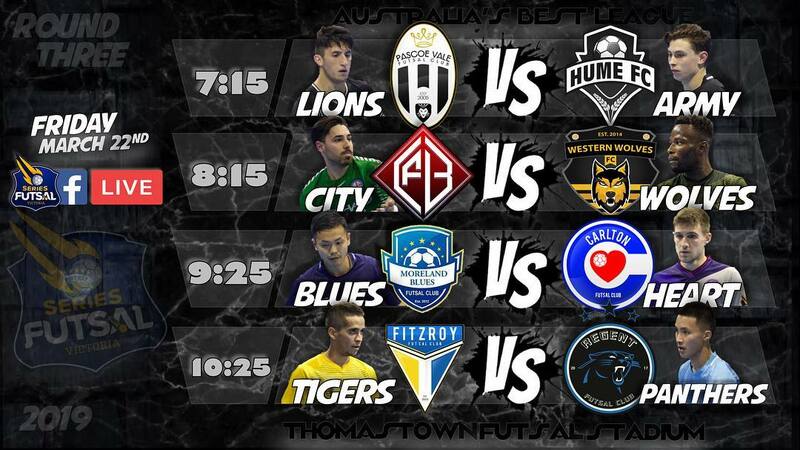 From there the flood gates opened, and when Arturo Garzon bagged the next three goals to bring up a hat trick, the lead was six-nil and not looking pretty for Hume. A scrap in the area left the ball for Mauricio Novak to hit into an empty net for a seven goal advantage. Hume got on the board with a goal to Wilmar Rojas, but that was as good as it got for Hume as Nathaniel Turner, Garner & Besenyi fired home the final three goals to seal a big win for Pascoe as they return to the winners list. Next up saw Brunswick take on Western Wolves as it was a must win clash for both sides. It was Brunswick who took the lead early as Simone Pelletti fired home a rocket, but Wolves hit back through their mercurial forward Ubeyde Cicek to have the scores tied at one at the half time break. Early in the second half Brunswick regained the lead as Andrea Zaccone tapped home at the back post before Giovanny Garcia snuck in an effort at the near post to have City ahead by two. Ramon Nuegu then tapped home at the back post for a 4-1 lead, before Zaccone struck for the second time in the game to put Brunswick 5-1 ahead. A lovely set piece from Brunswick saw Pelletti volley home for his second of the game, before a late ten meter was converted by Pelletti for his hat trick as Brunswick sealed their first win of the season, and a much needed one at that. Next up saw title chasers Moreland face Carlton who were looking for redemption. 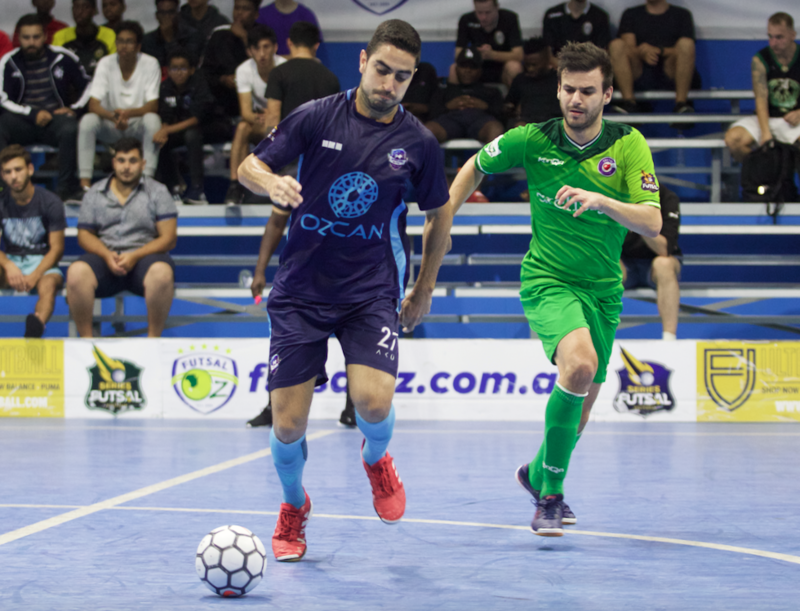 The Heart had a point to prove, and looked the goods early as Ernie Simsek volleyed home into the bottom corner with the opener, before Rico Hauser lashed home on his right foot to double the advantage. A lovely bit of play saw Moreland pull a goal back through the in form Lucas Vaz, and soon after were level when Adam Cooper beat his man down the line and squared a ball to Ruz Roslan to finish and bring Moreland level. Soon after, the Blues were ahead as a lovely set piece was fired home by Muhammed Temel to give Moreland a slender lead at the break. Early in the second half, Moreland extended their advantage as a lovely ball found Matthew Vragovski who cut it back to Vaz to tap home for a second time and give Moreland a two goal cushion. Moreland were reduced to four players when Temel saw red for a second bookable offence, and Carlton took advantage of the overload situation as Josh Pulvirenti found the net to have the Heart within a goal again. Moreland weren’t going to let the lead slip though and a good ball from Kui Mu was finished by Vaz who completed his hat trick, before Cooper found Vaz from a free kick to all but seal the win at 6-3. 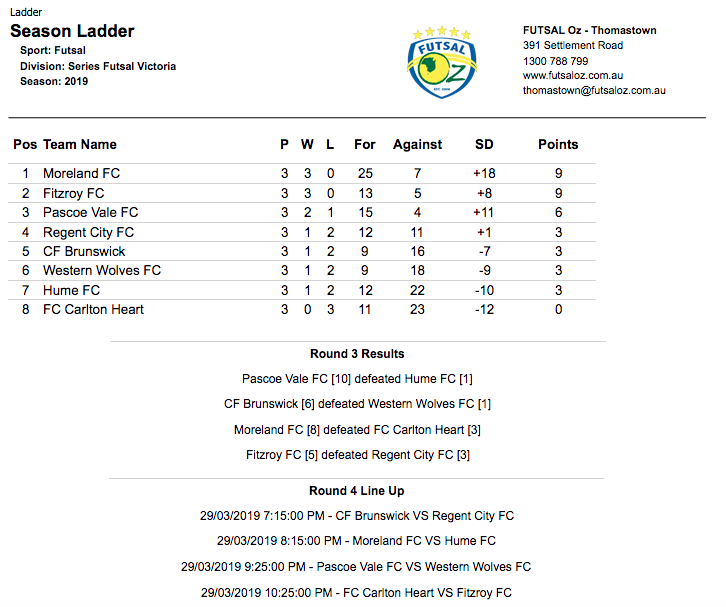 Vaz was involved again as he set up Kui Mu to finish, and the game was sealed when Hirose finished it off as Moreland survived a scare to take home the three points and remain on top of the ladder. The final game of the evening pitted current Champions Fitzroy up against newly promoted and hungry Regent City. 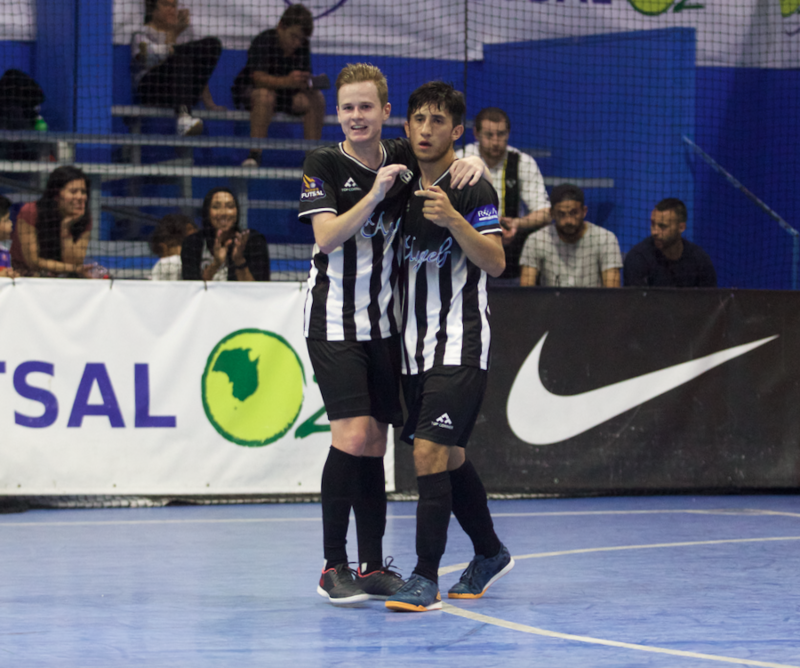 It was Regent who struck first when a long throw from Billy Atik was turned in by Shifa Ahmed to give the Panthers the lead, and an upset was right on the cards when Joaquin Jiminez found the net with a low effort to double the advantage. Fitzroy hit back after a brilliant solo run from Leo Kimpara saw his ball to the back post turned in for an own goal by Jiminez to halve the deficit, and soon after the Tigers were level when Scott Rogan struck from a corner, to have the scores level at two at the half. 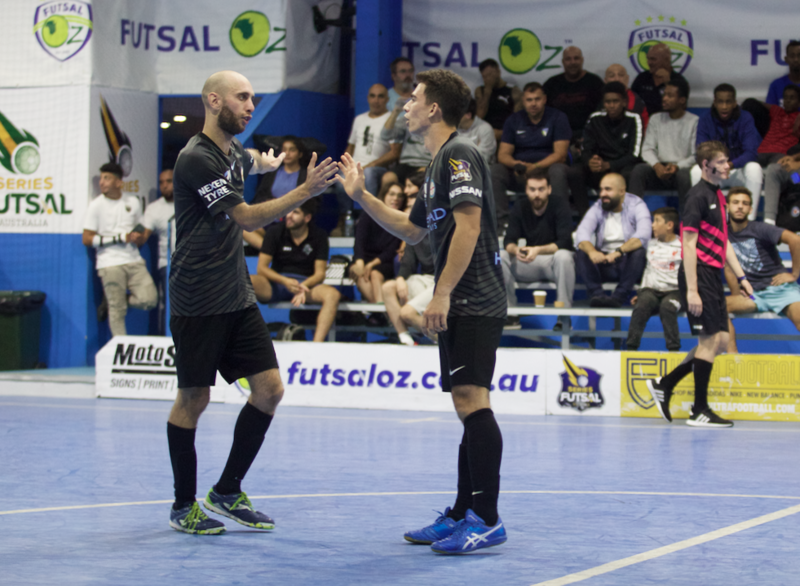 Regent looked determined to bring down the Champions and again took the lead when Cosimo Russo put the ball into the his own net, wrong footing Peter Tamburrino to have Regent 3-2 ahead. Fitzroy again pulled level when a great run from Scott Rogan saw him exchange a ball with Ben Monteleone to tap home and level the game at three. Rogan then had a chance to give Fitzroy the lead from the five meter penalty mark, but he put his effort high and wide to keep Regent in the game. 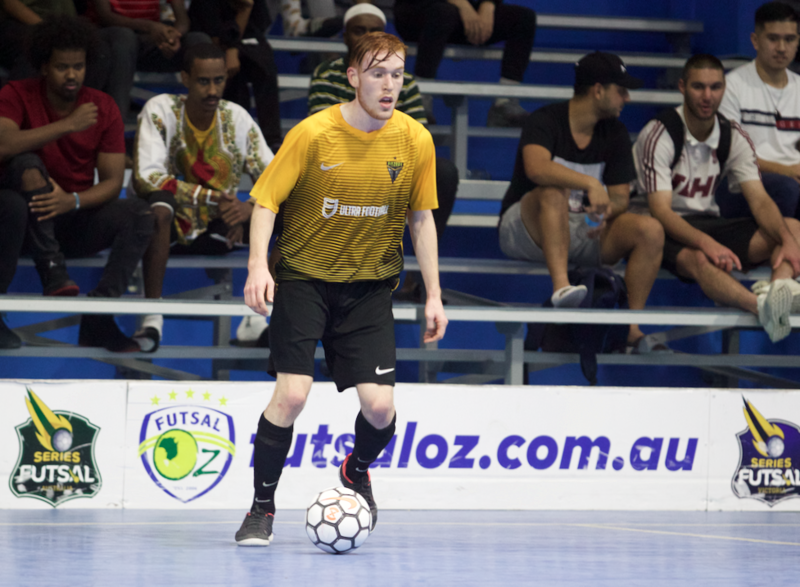 Fitzroy did take the lead soon after though with the third own goal of the game as Rogan’s shot was turned in by Abdulkadir Mohamed to give Fitzroy a lead for the first time on the night. The win was sealed when a penalty from Jose Filho was saved, only for Jackson Shaw to poke home and seal a hard fought win for the Tigers.